Determined to help Eileen, Evan agrees to complete some special dream piercing training. But he can’t even imagine what he has put himself into. The magic of dreams keeps a lot of secrets. The spells are dangerous and their consequences no one is able to predict. I Couldn't wait to read this book after reading the first one! Then end of the last book ended with such a cliff hanger that i was chomping at the bit to get the second one! When Christian is kidnapped by Eric Eileen will do anything to get him back! With the Help from friends and her father she sets out to learn more about the world of magic dreams. She meets a new friend who's aids them in there quest for knowledge. But this was never going to be an easy road! with truths been told, secrets been keep and friends becoming enemies the amount of people she can trust is running out! can they make it in to the dream world to save christian? or will he be lost forever? Loooooooved it! I had my figures crossed for this book because i loved the first one and i had such high expectations and i was not disappointed! even doing the bit above to sum up the storyline was difficult because i just couldn't do it justice! The way Diana intricates the plot is amazing every time you thing you guess what is going to happen the rug is pulled out from underneath you, your constantly guess and when i new pieces of information does fall in to place you cant help but go oh my god! the storyline is just amazing and beautifully written! its as if your right there! I fell in love with the characters even more in this book after everything they have to go through! i literally can not wait for the next one! I loved Evan in this book! you see more of that charming side of him but also a sorrowful and more vulnerable side! I loved Eileen to simply for the fact she makes me laugh so much with the things she says and the way she grumbles and threatened Evan! I also enjoyed the new characters that were introduced! The friendships that were formed and the love the characters had for each other was heart warming! I would recommend this book to anyone its one of if not the best fantasy series i've read! And i am so excited to have done my first author interview with Diana! Hey Diana! Thank you so much for doing this interview I am so excited to be doing my first author interview! I absolutely loved Love lines and songs of the wind, the storyline is amazing and the characters are brilliant. So my first question would have to be where did you come up with the idea for the series? I know everyone who reads the books will fall in love with the characters, who is your favourite character and why? Some parts of the books made me laugh some made me sad, what was your favourite part of love lines and songs of the wind to write? My favourite part of Love Lines was the Festival of Arts with its bright colours and all those spectacular performances the students showed. I also liked working on Eileen’s and Christian’s tattoos. It was a very special moment of the story and I wanted it to be very real, so that readers would see it clearly in their minds. I can’t choose my favourite part of Songs as every moment of this book was filled with so many different emotions that even writing the book felt like being inside my characters’ hearts, feeling everything they felt, from every smile to every single tear. After leaving Songs of the wind on such a cliff hanger, can we expect the same action packed suspense in the next book? There will be more adventures and mysteries in the next book. 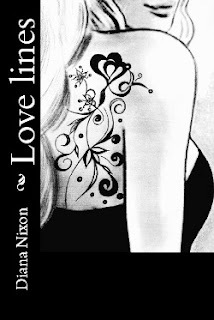 And I promise its last sentence will be more than just unexpected:) That’s all I can say for now, but in a few weeks I will announce the title of the third book of the Love Line series and give you a short description of what to expect from the sequel. Before becoming an author you received a Master of Law degree, did you have any specific inspiration from favourite authors or family to become an author or was it something you’ve always wanted to do? Who would you say your favourite author was at the moment? This question is always hard to answer, as there are so many authors I like, but I don’t have and I never had a favourite one. And lastly what book are you currently reading? - The Wild Ones by M. Leighton. It’s a great love story I enjoy reading. 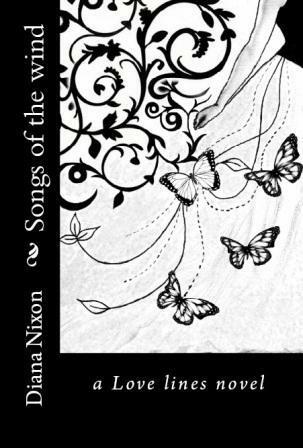 Get the First book in Diana's Love Lines Series! Nic has read 6 books toward her goal of 30 books. Share book reviews and ratings with Nic, and even join a book club on Goodreads.